New system will favour stability and usability over pure novelty. Google has revealed plans to significantly change the way apps are ranked in its mobile Play Store. 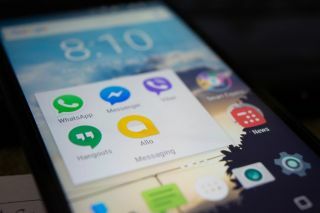 The move will see apps which offer better stability and usability appear higher on ranking lists, offering users a better all-round experience when downloading and using new services. On the other hand, Play Store used to recommend similar apps to users, regardless of their quality. That way, apps that often crash or freeze managed to surface with ease. With the new changes, the Play Store will favour quality apps over similar ones. “As part of our continued effort to deliver the best possible Google Play experience, we recently enhanced our search and discovery algorithms to reflect app quality,” Google says. “This results in higher quality apps being surfaced in the Play Store more than similar apps of lower quality (eg: apps that exhibit more frequent crashes). The change has had a positive impact on engagement -- we've seen that people go on to use higher quality apps more and uninstall them less. Google added that it hopes that, by improving on app rankings, it will also improve on retention rates and monetisation for developers. On the other hand, consumers should be able to find quality apps easier.